An important step in a great detailing job is bringing a little more zing to the metal trim on your vehicle. Protect and rejuvenate stainless steel, chrome, nickel and billet aluminum with our proven formula that halts oxidation at an early stage. The fine grade polish won't scratch as it restores wheels, bumpers, engine trim and molding to a stunning, glossy finish. For a tougher job, we recommend starting with an application of medium-grade Golden Shine Metal Polish to remove oxidation and dulling, and follow with Golden Shine Metal Shine for a brilliant finish. Use with Golden Shine Polishing Towels or Microfiber Polishing Towels for optimal results. Made in the USA. Available in an 8 oz bottle or 128 oz (1 gallon) refill bottle. What is the difference between Metal Polish and Metal Shine? 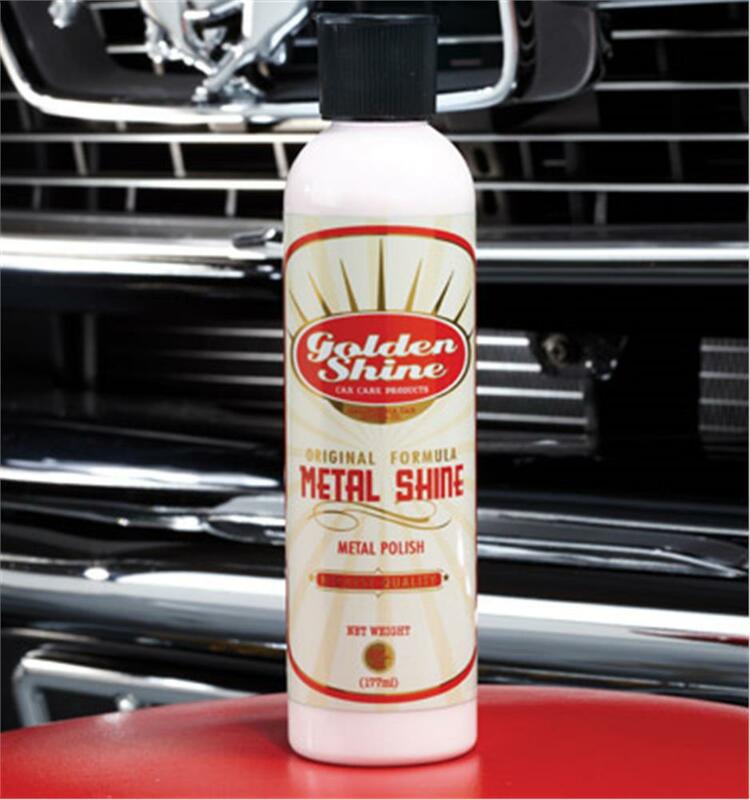 Golden Shine Metal Polish is a medium grade metal polish. It is designed to tackle dull and oxidized metal finishes. 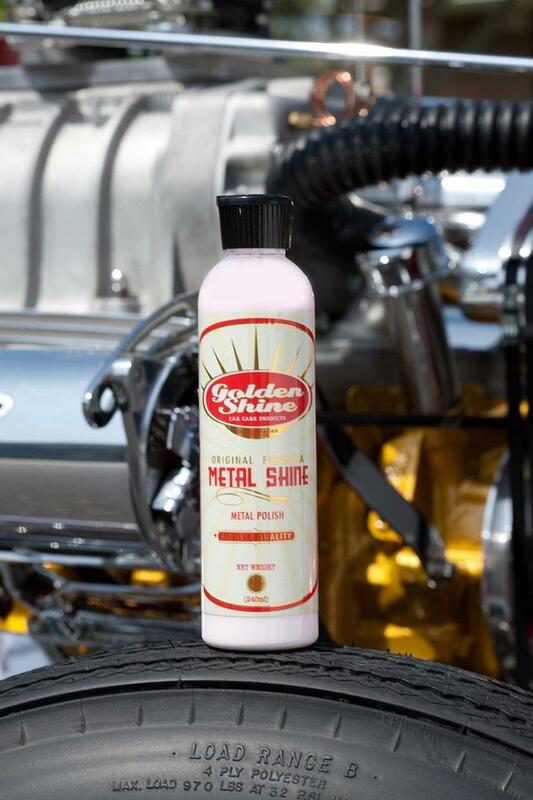 This Golden Shine Metal Shine is a fine grade metal polish developed to add a high gloss and shine to metal finishes that are already in decent shape. We recommend using Golden Shine Metal Shine on metal trim and wheels that are in good shape, but only need a little shine and protection. If your metal needs a little more TLC, our two-step process is best. Apply a coat of the Golden Shine Metal Polish to remove dulling and oxidation and then follow with an application of Golden Shine Metal Shine to make it look amazing.